Vietnamese food in Melbourne has been ever the bridesmaid, never the bride. We have swooned over tacos and upmarket Thai, but any pho that has dared to edge over $12 has drawn howls from the crowd. The evidence would suggest that Melbourne loves Vietnamese food, but only if it's cheap. But things are changing, with a new wave of modern, casual Vietnamese eateries popping up across town. City workers are trading their sushi and panini for rice-paper rolls and banh mi. 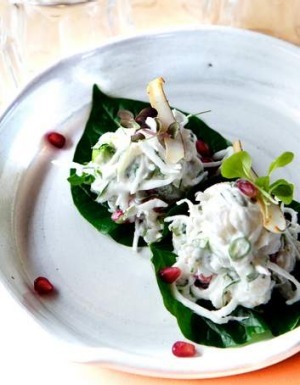 Sleek eateries, such as Uncle and Kin, have real date-night appeal. Vietnamese in Melbourne is on its way out of the friend zone. Jerry Mai's experience reflects Melbourne's evolving relationship with Vietnamese food. She opened Red Rice and Chi in the early 2000s and faced an uphill battle trying to contend with perceptions that Vietnamese should always be cheap. Despite her use of better produce, customers complained they could ''go to Victoria Street for half the price''. Now Mai feels the time is right to push the boundary again. 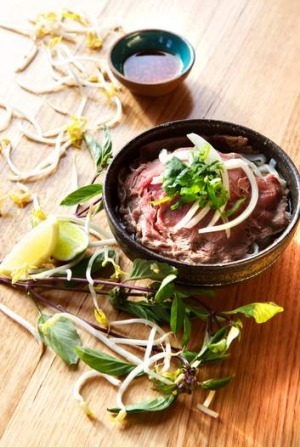 Her eatery, Pho Nom, in the Emporium development, combines a fun, canteen-style feel with premium ingredients such as Sher wagyu and Warialda beef. She has also just opened the more sultry Susie Wong in Prahran, which mixes Vietnamese and Thai flavours to create a thoroughly modern Asian offering. Sydney food writer and blogger Thang Ngo has observed similar changes in Sydney's attitude towards Vietnamese food. ''All these [new] places are leading with banh mi, rice-paper rolls and pho - all Vietnamese fast-food favourites,'' he says. So why is the time right now? Rene Spence, of Uncle, feels that Vietnamese strikes a good balance between being exotic enough to be interesting, but familiar enough to not be scary. ''Everyone's got a favourite in Victoria Street. Everyone's been to Vietnam,'' he says. 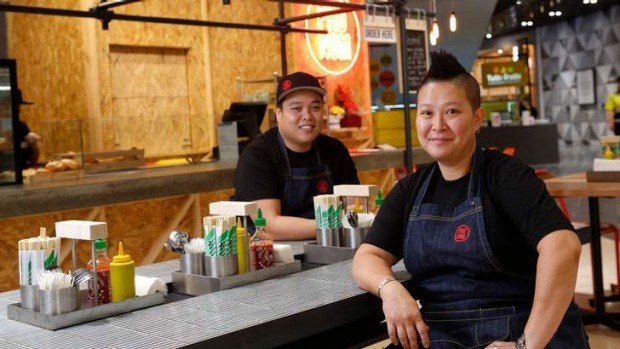 Bao Hoang co-founded Vietnamese chain Roll'd, which now has 18 outlets, including at Chadstone, Eastland, and as far away as Brisbane. His experience is somewhat different. ''The more people we talk to, the more we realise how many people [have never] had Vietnamese food,'' says Hoang. Nevertheless, ''the uptake has been very, very positive''. He feels the booming popularity of the food he grew up with is because of its simplicity and the primacy of fresh produce. Until that day, these new kids on the block are celebrating the fast, fresh and fun side of Vietnamese food. Get stuck in. Jerry Mai takes Vietnamese street-style fare and fuses it with uncompromisingly fine produce. That translates to banh mi loaded with crisp and juicy free-range Greenvale Farm pork belly. Go regional and try Hanoi-style pho with sliced rare beef, or the Saigon breakfast banh mi, with steak, egg, pâˆté´ and pickles. This bright little button has jaunty yellow walls decorated with colourful retro posters. It's all about the banh mi here, with fillings such as lemongrass beef skewers or crisp silken tofu. It also offers a rich vegetarian pâté made from portobello mushrooms, chickpeas and roasted almonds. Kin packs a lot into a small package, with rustic wooden tables, friendly service and a tight menu of Vietnamese classics. The pho is brewed from beef bones and really nails the sweeter southern style. Follow it with beef in vine leaves or chargrilled squid. With family connections to Fresh Chilli Deli in Sunshine and St Albans and Nhu Lan in Footscray and Richmond, Duy Huynh's banh-mi pedigree is impeccable. At Ba'get, the rolls are baked fresh hourly and filled with house-made pâté, mayonnaise and lemongrass pork or saucy tomato meatballs. Adam Milgrom is as Vietnamese as a cheeseburger, but that didn't stop him from putting his own clever spin on banh mi and rice vermicelli salads. These warm noodle salads come with shredded wombok, spicy mayonnaise and maybe Lakes Entrance fish, panko-crumbed in-house, or fall-apart, tender brisket. Lounge in the upstairs courtyard over chicken liver pâté with rice crackers or clams in a lush coconut and kaffir lime leaf broth. Downstairs, the moody cocktail bar is set for a makeover. Rene Spence is tight-lipped, but reveals that daytime focuses on takeaways, while night-time ushers in ''Uncle with a difference''. Expecting fast food? You won't get it at Banh Mi Boys, but chances are you won't mind. The marinated pork belly, or chook for your sanger, sizzles madly over a charcoal grill inside the van, creating plenty of fragrant, billowing smoke that is enough to transport you straight to a Hoi An backstreet. Pho is pronounced less like ''foe'' and more like ''fur'' or ''fah''. If you get stuck, Wat Da Pho's very cheeky name will get you back on the right pronunciation track. It's about quick bites here - ''ching rolls on da chelli'' translates to warm rice vermicelli salad with spring rolls and a colourful jug of dressing.